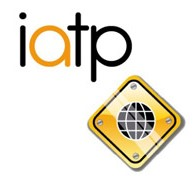 Our RoSPA, & IATP approved courses are owned by VideoTile Learning Ltd and distributed under licence. The Control of Asbestos Regulations 2012 apply to employers, employees, self-employed persons and duty holders and cover all work with asbestos containing materials. Regulation 10 of CAR states that every employer must ensure that adequate information, instruction and training is given to employees who are liable to be exposed to asbestos. This includes maintenance workers and others who may come into contact with or disturb asbestos. 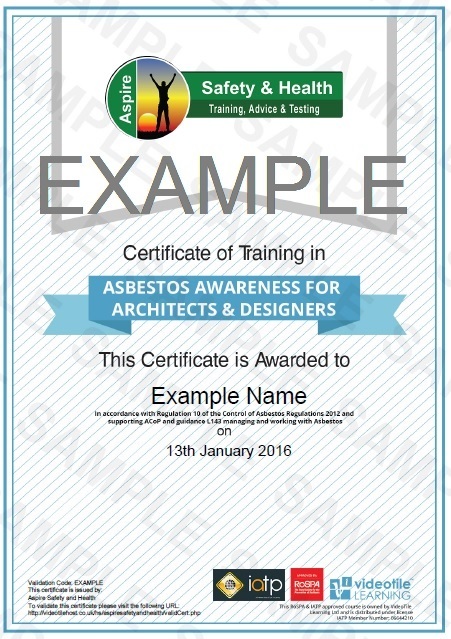 This course covers the same subjects as our Asbestos Awareness course including all areas of asbestos awareness and is designed for anyone who may come into contact with asbestos in their work, with an additional module aimed specifically at architects and designers working with buildings that may contain asbestos. It provides information about the legislation governing asbestos in work and outlines the responsibilities of architects and designers.